It is almost impossible to go a day without hearing the work of Eric Persing. The thousands of original sounds he has created are used constantly by top composers, producers, remixers and musicians from all over the world. 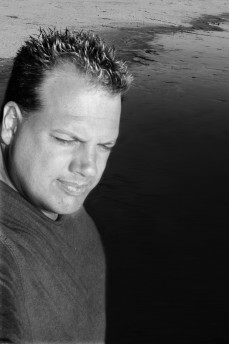 As a studio musician, remixer, producer and composer/arranger in Los Angeles, he has also contributed to numerous Grammy award winning albums and Academy award winning film scores, working with an eclectic group of artists including Herbie Hancock, Michael Jackson, Hans Zimmer, Nile Rogers, Knower, Quincy Jones, Danny Elfman, Marcus Miller, Sergio Mendes, Luther Vandross, James Newton-Howard, Chaka Khan, Eddie Jobson, Michel Colombier, Diana Ross, Arif Mardin, Mezzoforte, Ellis Hall, Bette Midler, Roby Duke, Deniece Williams, The Katinas, Larry Carlton, Sandi Patti, Leonard Cohen, Bon Jovi, Richard Souther, Randy Newman and Celine Dion, amongst many others. Eric's lifelong love of the creative process is the driving force behind his pursuit of musical excellence.